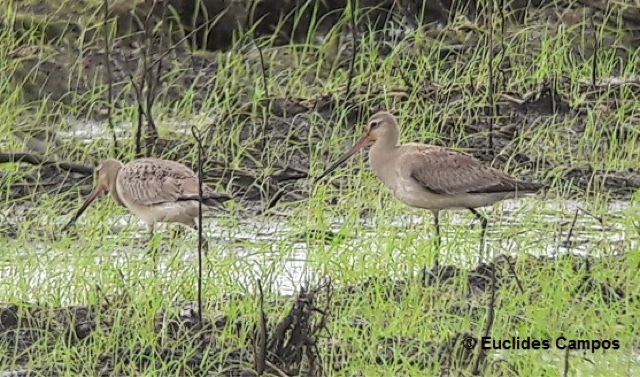 Two Hudsonian Godwit were seen at Finca Bayano on Tuesday, October 25. Other birds of interst: 3 Long-billed Dowitcher, several Pectoral Sandpiper, 1 White-rumped Sandpiper, 1 Kildeer. Alexis Guevara was also present during this sighting.